Drive through the impressive entrance gates with their tall stone columns to enter this unique and lovely home, beloved by the families who return year after year. Sea Island has membership to the Tryall Club. For all guests with an arrival of December 1, 2018, an additional Temporary Membership Fee of US$26 per person per day plus a 15% service charge for any guest 16 years and older will be required. Payment will be made at the Front Desk in the Great House upon arrival. The favorite gathering place for conversation and the tranquil view is the 125-foot L-shaped verandah with Italian marble tiled wet bar. Here, too, is the al fresco dining area for memorable home-cooked meals created in Sea Island’s state-of-the-art kitchen with 6-burner commercial stove, microwave, ice maker, dishwasher, and unique collection of beautiful dinnerware and table linens. Chef Brenda invites youngsters to help her make her legendary chocolate chip cookies here! Kingsize four-poster bed in newest suite. 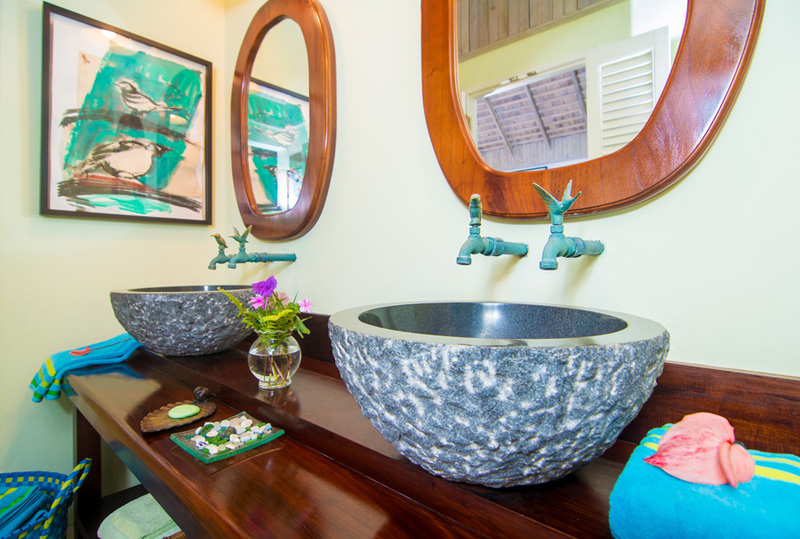 En-suite bathroom features designer granite sinks, stone bathtub and oversize indoor shower room that opens through French doors to a second outdoor garden shower. Queensize bedroom that connects to Master Bedroom. Connecting passageway can remain closed to privatize each bedroom ~ or open to create a convenient double master suite especially suitable for parents and children. En-suite bathroom features designer granite sinks and oversize indoor shower room that opens through French doors to a second outdoor garden shower. Kingsize four-poster bed, local television, French doors to verandah. En-suite Italian-tiled bathroom, large walk-in shower, deep soaking bathtub. Connects to Peach Room via large walk-through closet. Queensize bed, French doors to verandah. En-suite bathroom with walk-in shower. Connects to Master Bedroom. This is a convenient double suite for parents and children. Optional kingsize or twin beds, French doors to verandah, en-suite bathroom with walk-in shower. 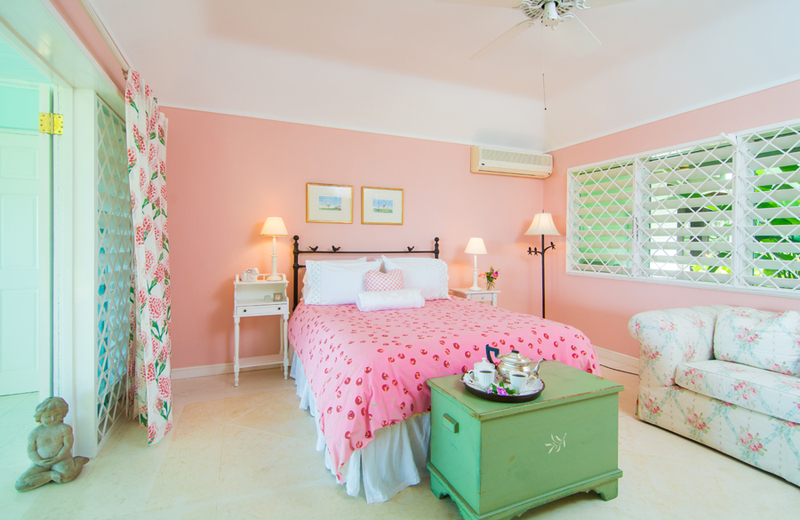 Double bed in fanciful pale pink room, French doors to verandah. En-suite bathroom with walk-in shower. Collection of stuffed bears and child's follies can be added to the room to make child-friendly. 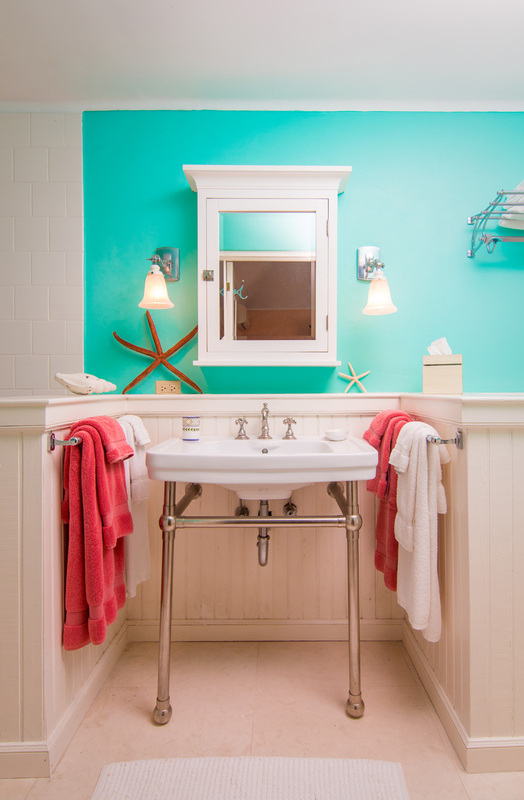 Bathrooms in Sea Island merit special mention. All have sunken walk-in showers. All are designed with Italian tile, art and style. 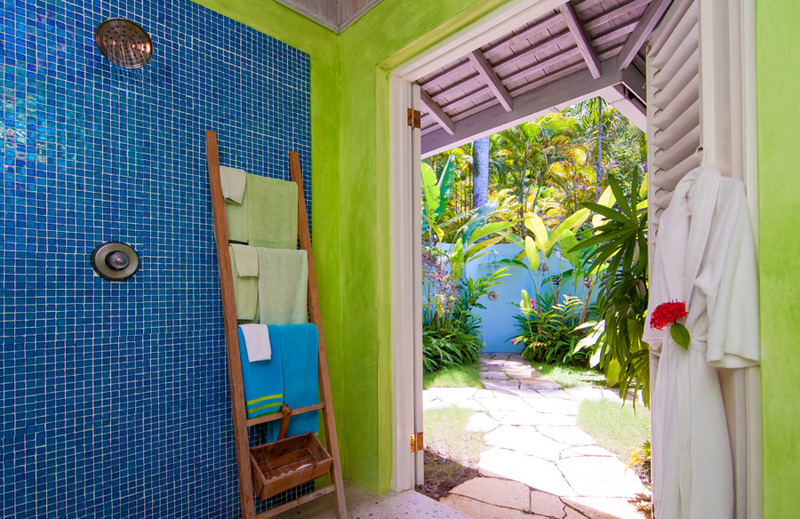 Two outdoor showers are in a private garden for memorable bathing experiences in sunlight and moonlight. Another year at a this beautiful house with this amazing staff....HEAVEN!! Best ever vacation! Absolutely amazing experience. The staff made it all possible! They were outstanding. This is our third time visiting Sea Island. The staff is excellent and attentive. 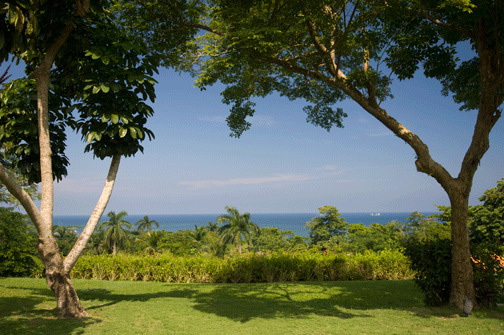 The view from the veranda of the gardens and the ocean is spectacular. The pool is very large and well appointed. We also love the beach at Tryall. 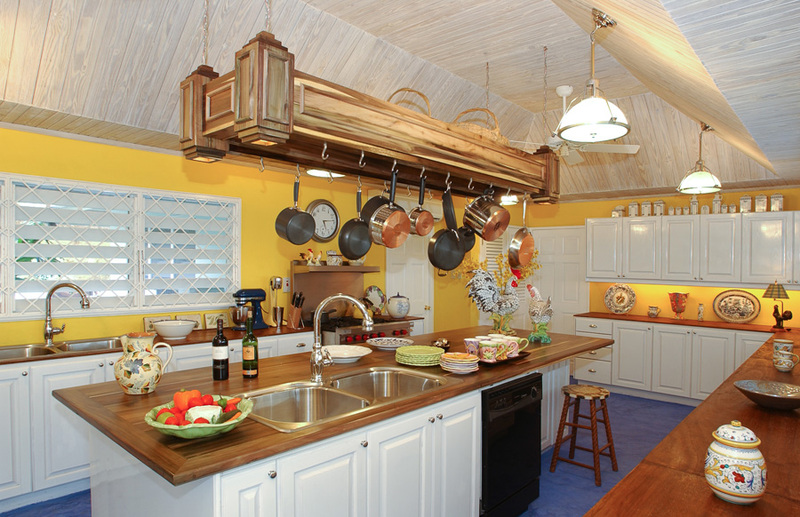 Chef Brenda has a full complement of Jamaican dishes or anything else you might want. Sea Island Villa is purely amazing. 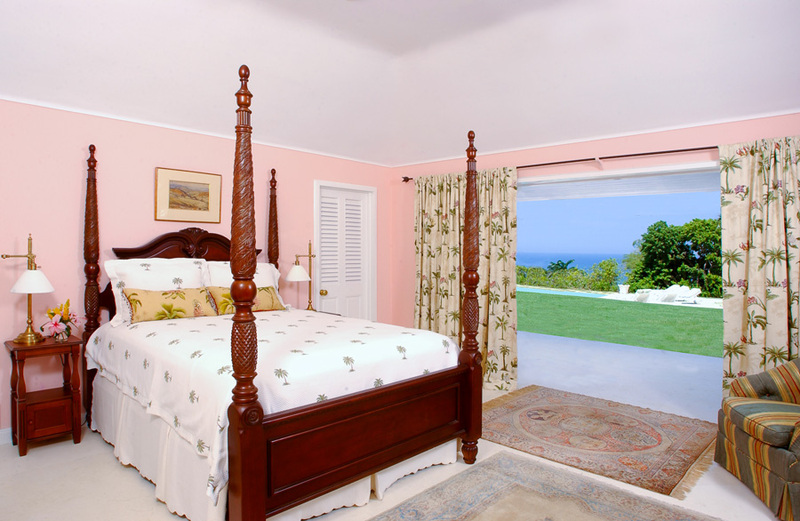 We couldn't thank Jamaica Villas by Linda Smith enough. 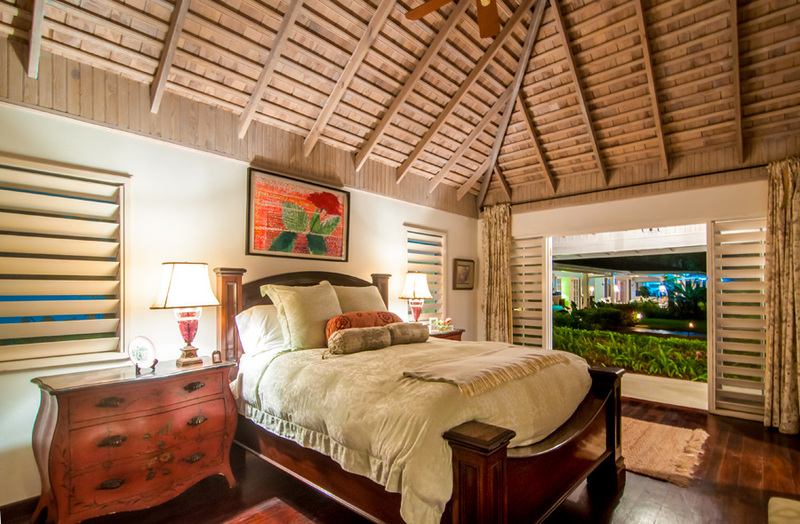 Everything from our villa specialist, to the staff of the house. We couldn't ask for a better time. The amount of respect was above and beyond. We were treated like kings. The service was fantastic at sea island. We enjoyed our stay and we were psyched to experience true Jamaican culture through the relationships with the staff, the home cooked meals and the weather, of course. Thank you for offering such a complete and effortless experience. It was a 10 out of 10 experience!! Thank you for an amazing vacation that was relaxing and stress-free! As a family trip, this was amazing for the parents as well as the children. The meals! The drinks made! The laundry done! The dessert! The kids meals! All so amazing ...we did not want to leave! Thank you for a perfect week in paradise. Sea Island is nothing short of spectacular. The staff makes you feel immediately at home and relaxed. We will definitely be back. What an amazing staff and beautiful villa! Sea Island is a great house. The staff took such great care of us. We highly recommend staying here. It's great for a family vacation or for a group of friends. Sea Island has Excellent Staff and Service...Wonderful People! We had a really incredible vacation. You guys organized everything perfectly without any hitches or negative surprises. 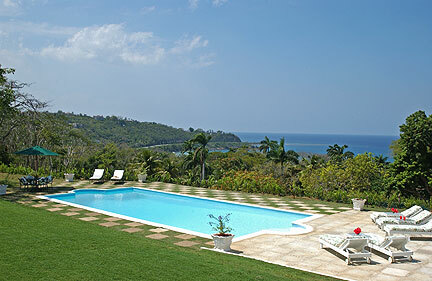 First time vacationing in Jamaica and renting a villa. Love it! All staff were helpful, professional, pleasant and courteous. Our vacation was wonderful!! What an amazing week we had at Sea Island! The property is absolutely beautiful and the staff couldn't have made us feel more at home. Such a luxurious vacation, we highly recommend this property. Sea Island was paradise for our family's Christmas week reunion! The staff are SUPERB! ....welcoming, friendly and always accommodating. We love it here. The accommodations are beautiful and comfortable. The fabulous staff attentive and kind. The house was stunning with every possible luxury and the staff were warm, kind, and made everyday feel special. Without the people/staff it wouldn't have been as enjoyable. Best vacation ever!! It has been a fabulous week. I came to kick off my 50th birthday, and what a way to start. Great staff, beautiful accommodations, tasty food and great memories. Thank you for everything. Everyone was so friendly and thoughtful. We were so grateful with all of the help with the children. The Concierge Office was so lovely when we had delayed luggage and needed assistance. We had a wonderful stay at Sea Island with 3 generations of our family. The staff is so warm and thoughtful - we appreciated all the kindness and care. The villa is stunning and we enjoyed many lazy afternoons on the veranda. We cannot wait to return!! Our stay at Sea Island was, as always, wonderful. Juanita runs the house beautifully and helps with all plans and excursions. Brenda concocts delicious delicacies and Mr. Dalton serves them graciously. This was our 10th year here! - we love it! Came to Sea Island with 5 best friends from high school to celebrate all of our 50th birthdays. This place exceeded our wildest dreams. The staff treated us as royalty and were so amazing and sweet. The accommodations were top notch and the rooms and villa lay-out were amazing. Every detail has been covered from the meals to turning our beds down at night. COMING BACK FOR OUR 60TH'S!! I just wanted to thank you for the MOST amazing trip we have ever taken. Your company was wonderful to work with and you were very organized and everything went off without a hitch. Sea Island is absolutely fantastic… Again, you all were terrific and made our 50th birthday's one to remember always. I will recommend your company to everyone and anyone who will listen and SEA ISLAND IS THE BOMB!!!!!!!!!!!!! Fantastic stay. The staff were so kind to our children, they were all excellent. Beautiful villa & grounds. We loved the open concept, beautifully decorated with unique rooms & bathrooms. The house was even more spectacular that the photos. The staff was dedicated, hardworking and committed to ensure we had a great time. 7 Unforgettable Days - What a wonderful experience. I have stayed at a few villas in Jamaica and Sea Island was by far the best. I will never stay at another villa now that I have found Sea Island. The property is in excellent shape. The staff took care of all of the little details. I never even had to ask for even an extra towel. Everything was there at our fingertips (party of 7 adults and 5 children). The food was fabulous! We ate sumptuously for the entire week - three meals a day, impeccably prepared by the kitchen staff. Brenda is truly gifted. Dalton serviced us patiently every day, all day. Every meal, every pool side drink - just wonderful. Everything ran smoothly under the capable direction of Juanita. I recommend Sea Island with no reservations whatsoever. It will exceed your expectations. We had a wonderful time at Sea Island. 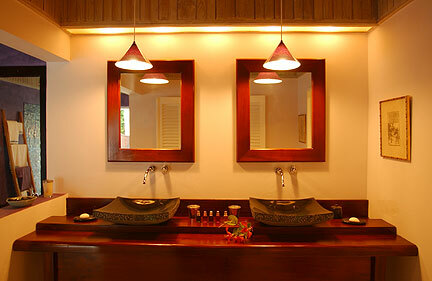 The villa is in top condition....the bathrooms are all stunning! Brenda, the chef, is top-class. We will be back as soon as we can! 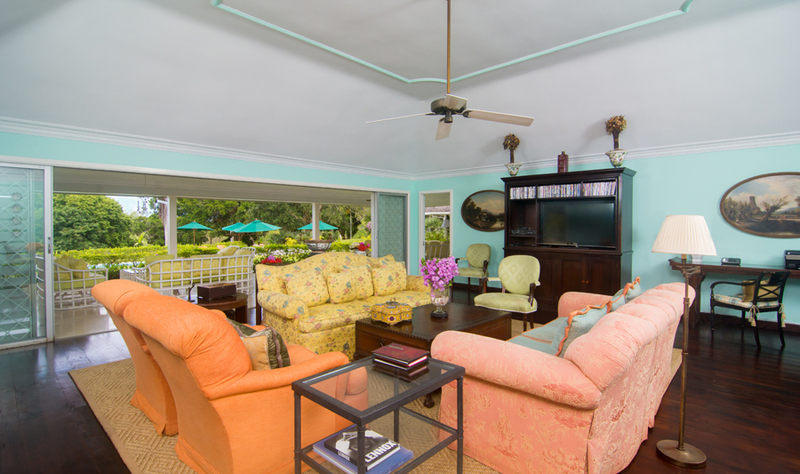 Sea Island is truly an 'island oasis' in the middle of TROPICAL PARADISE! Absolutely breathtaking! Perfect in every way. 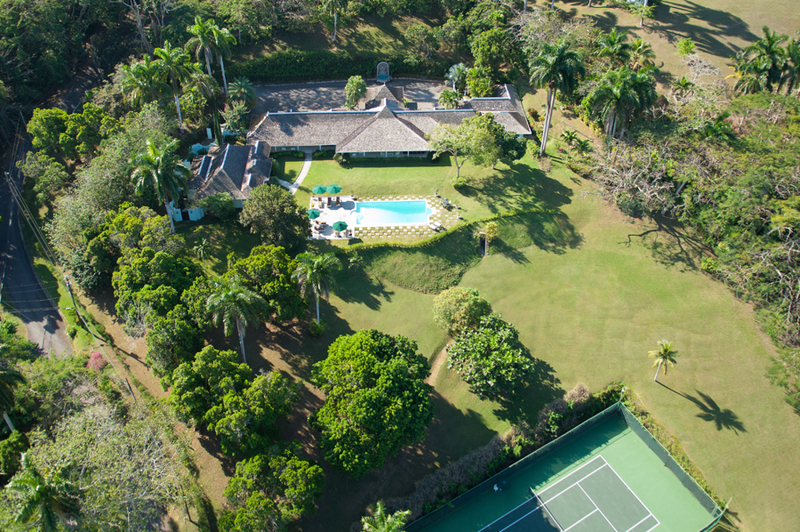 From the house and the decoration to the grounds and the natural vegetation, Great River Private and Sea Island Villa were just right for our family. I want to extend our extra thanks to the staff who have all been mentioned by name. Marvin and Dalton treated my son and our group to fresh coconuts! So delicious! And the way all of my children were welcomed into the kitchen and into whatever they needed with such kindness and joy made this extra special! Celebrating my 70th Birthday surrounded by my family at Sea Island was "PERFECT" in every way. Awakening each morning in this heavenly place and being taken care of by Juanita, Dalton, Brenda and the entire staff in such a kind and gracious way makes this experience exceptional and one that the 15 of us will never forget. We all agree this trip was the "BEST EVER". What can I say.... what a superb experience and beautiful place you have. The attention to details and wonderful staff make this an extraordinary trip. The people of Jamaica are so friendly and nothing at all was a disappointment. From the staff recommendations, the the friendly smiles, to the wonderful food and attention..we absolutely loved it. 9 days was not quite long enough. Especially helpful and kind was Juanita, Dalton and Brenda. My mom thinks Brenda, the chef, should open her own restaurant. The food is amazing, especially love the chocolate mousse, jerk chicken, Asian coleslaw and the cherry cheesecake....and pretty much anything she made . The furnishings were very nice and the bathrooms were well stocked with linens. And how nice to have our laundry done and returned to us everyday. It will be hard to go back home. We will recommend Sea Island to all my friends in New England. Sea Island was spectacular! We loved every minute ...it was the perfect place for our family. Juanita, Brenda, and Dalton knew what we wanted before we did! 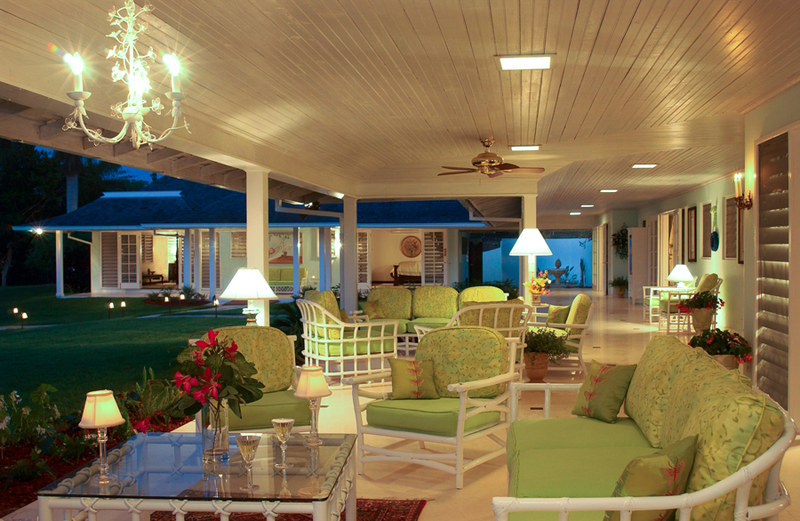 We loved the view, pool, tennis, yoga,the beach, boating, long walks, and spending our afternoons on the veranda. Thank you for a perfect vacation. We have enjoyed our stay at Sea Island. I loved the details of the house. Each room had a story to tell. I loved discovering the subtle details of the property. Juanita, Brenda and Dalton were warm and friendly and provided the group with extraordinary service. The view provided a serene surrounding to a very wonderful and relaxing vacation. One word for Sea Island -fabulous! 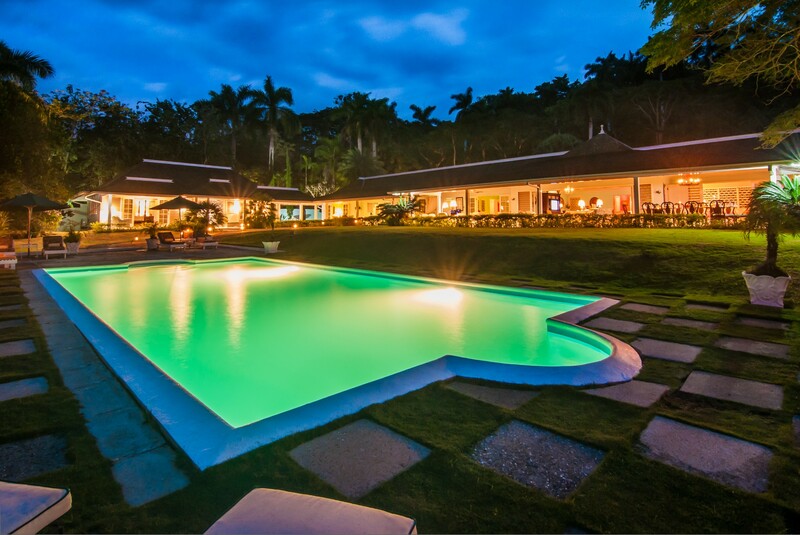 In addition to it's beautiful design and wonderful amenities such as it's great pool, veranda, and perfectly decorated bedrooms, it staff is tops! Cannot say enough about the exemplary and professional service demonstrated throughout our stay. Thanks Juanita, Brenda, Dalton and the other staff...you are the best! We can't wait to return to Sea Island! Our family had a incredible time during our week-long visit to Sea Island Villa. 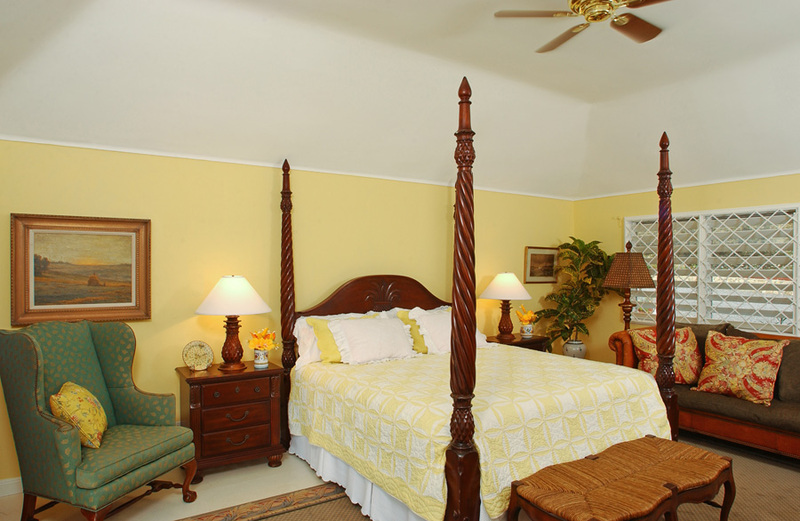 The home and the staff were warm and friendly, and all exceeded our expectations. It was so nice to really relax and know that we would be well cared for, whether we chose to make any decisions or not. 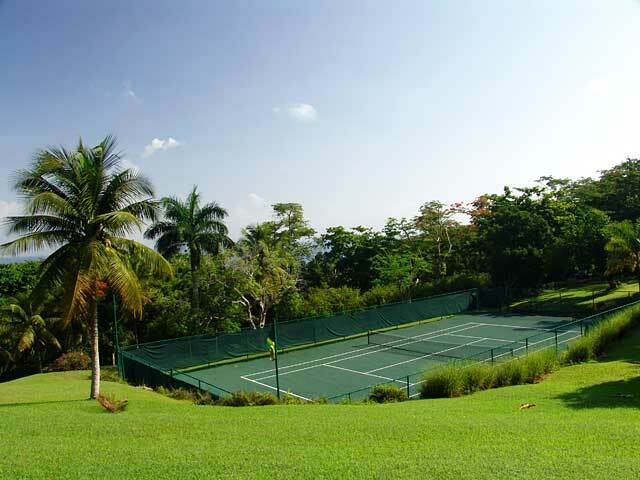 We made good use of the pool and tennis court, and thoroughly enjoyed dining al fresco. Thanks you for a wonderful vacation! We hope to return soon! We've been going to Sea Island for many years. It's a magical place. The warm weather is matched by the warm staff, the graceful beauty, the sense of total ease and comfort. Our whole family loves it there and looks forward to our yearly visits. Absolutely fabulous! 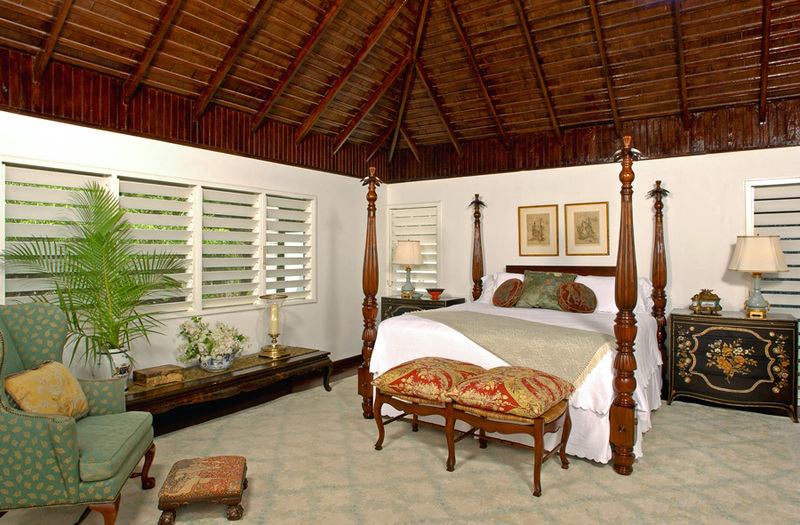 The property is breathtaking, the accommodations are five star and the staff phenomenal. I had a vacation where I got to relax and unwind with my love and his family. On my fifth visit to Sea Island, it was again a PHENOMENAL experience. It was the accommodations, the food, and the service that made the experience. I truly appreciate the Jamaica I have here every time. I can be still here because I can trust the staff. I cannot wait to come back. It will not be a long wait. I offered my children 2 weeks in Florida with a villa on the beach or one week at Sea Island next year. They both voted to return here without any hesitation. A wonderful holiday – we had a relaxing, enjoyable time. The staff here is helpful and friendly. We had the pleasure to be guests at Sea Island over Christmas. Our family thoroughly enjoyed our stay in Jamaica. It began with the friendly greeting and welcoming by Juanita. The team at Sea Island made us feel special! The staff made sure we had the time of our lives! We will return. The spirit and expertise of Sea Island's staff are unparalleled in our experience. We are pleased with the openness and responsiveness to the feedback we gave. It was impressive. Exemplary professional service and prompt service throughout our stay. Can't stay enough about the wonderful staff and food. The perfect spot for rest and relaxation. If we could give a score better than Excellent, we would. Best vacation ever because of the beautiful villa and great staff service. We LOVE it here. Juanita and Brenda (staff) make it wonderful. The new butler, Marlon, is a wonderful addition. 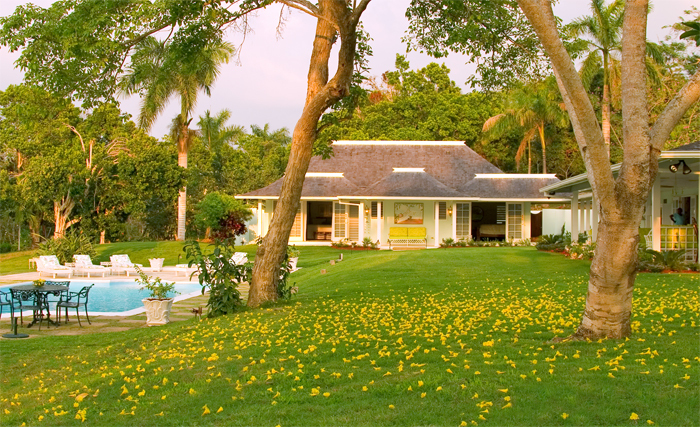 The house looks beautiful and is wonderfully well maintained by the fabulous staff. We will come back again and again. Juanita makes us feel so welcome. We would follow her anywhere ! Everything was PERFECT! Thank you for a wonderful stay.